The City of West Palm Beach features local business leaders participating in their Green Building Challenge. 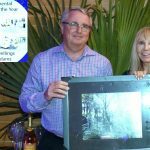 Karen Adams CEO recently gave a video tour of the Solar, sustainable prototype that is located in West Palm Beach. The LEED Platinum certified house is constructed of 18 Gauge steel to the highest Miami/Dade County 200 MPH standards. 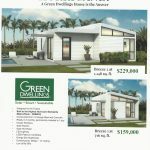 Designed for the tropic/subtropical climate these houses have Solar hot water, Solar electric, LED lighting, recycled, non-toxic sustainable materials, energy star appliances and won Sustainable Florida’s Best Practice Award.